Abide is not a word we often use. The KJV translates ‘meno as abide, most other translations use ‘remain. Both definitions capture the meaning and the question of being with God. In Christ, God has called us to be with Him. He has invited us into relationship. He wants us. But do we want to be with God? Do we truly want Him? Do we want to abide with him? God moments sometimes come unexpectedly. This morning after a busy weekend I finally had a few moments to sit down with a cup of coffee and read. As I opened my Kindle I found this on my recommended reading page. The question “do we want to be with God “is from that book. Sometimes God moments occur when you are not even looking for them. I have gone through a long season of unsettledness. There isn’t one specific area or thing, just an awareness something is off course, not what it should be. The question “Do I want to be with God?”, brought to mind how busy I have been, and how little time I’ve spent with Him. I do things for Him, I am aware of His presence, my life is lived as much as I know how, for Him. But do I want to be with Him? Maybe those question resonate with you. 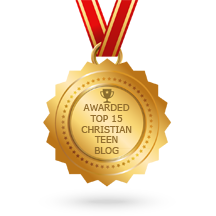 This entry was posted in A CLICK A BLESSING TODAY, Christian Teens Blog JF, CHRISTIAN TEENS BLOGS, Christian Teens Blogs - He is my Peace, Christian Teens Blogs - He is my Peace, Light and Refuge, CHRISTIAN URDU BLOGS, TAPESTRY TREASURES and tagged relationship. Bookmark the permalink.